As a conductor and music director, Maestro Binh Vu serves multiple ethnic communities in the USA, Vietnam, and many countries in Europe. 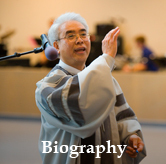 His credentials include a Doctor of Musical Arts in Choral and Orchestral Conducting from The Claremont Graduate University and two degrees from California State University, Northridge: a Master of Music in Choral Conducting and a Bachelor of Arts in Piano Performance. 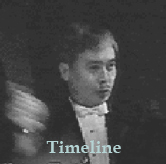 He has won conducting awards from Chorus America, New York (summer 1992) and the Conducting Institute, Hopkins Center, New Hampshire (summer 1991). In addition to his role as musical director of Ngan Khoi Chorus, Maestro Vu has developed an international reputation as guest conductor of philharmonic symphony orchestras in several countries in the world including Romania, Moldova, Russia, and Ukraine. He started in 2006 to work at the Laguna Niguel Presbyterian Church as a musical director and is also an adjunct professor at the Vietnamese Evangelical Theological College in Anaheim. Since becoming Ngan Khoi’s musical director in September 2004, Maestro Vu works closely with the leaders and members of the chorus to foster musical and artistic growth with the goal of maintaining the chorus’ place among the most respected artistic treasures of the Vietnamese-American community both locally and nation wide. He dreams for the voices of Ngan Khoi to reverberate in harmony with the strong economic and political voices, that the Vietnamese-American community in United States has produced over the last two decades. He believes that Ngan Khoi Chorus will create an environment that inspires and promotes artistic creativity among the current generation of Vietnamese Americans adults, while at the same time promoting opportunities for cultural and spiritual development for future generations.